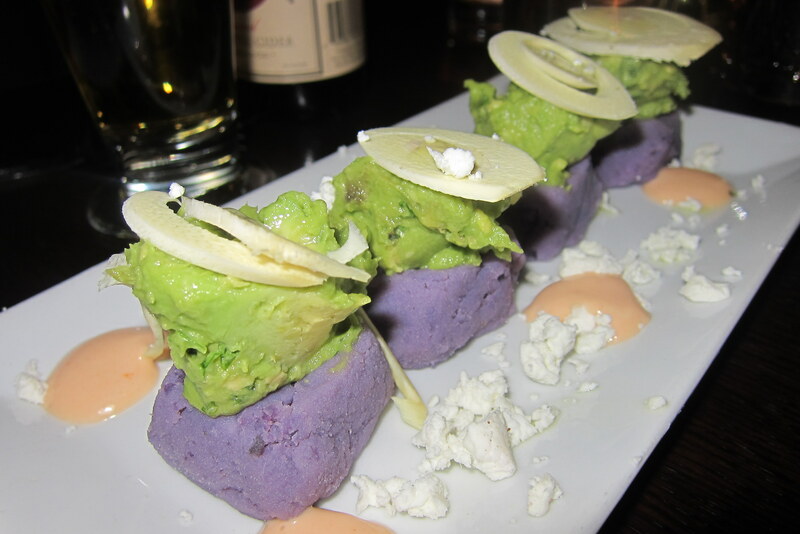 Located on a busy stretch of Second Avenue amidst numerous bars and eateries, La Cerveceria is a Latin American/Peruvian restaurant that serves up a variety of tapas with classic Latin flavors like lime, cilantro, avocado. 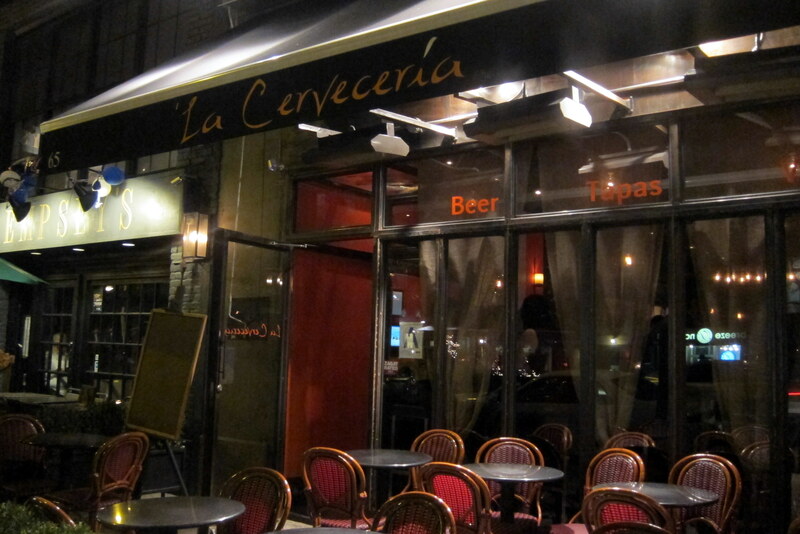 As the name suggests, La Cerveceria, “the brewery” in Spanish, also has a notable beer list featuring brews from over 20 countries. The list of beers spans two pages and is divided into pale, golden, amber, brown, dark, and hops categories. 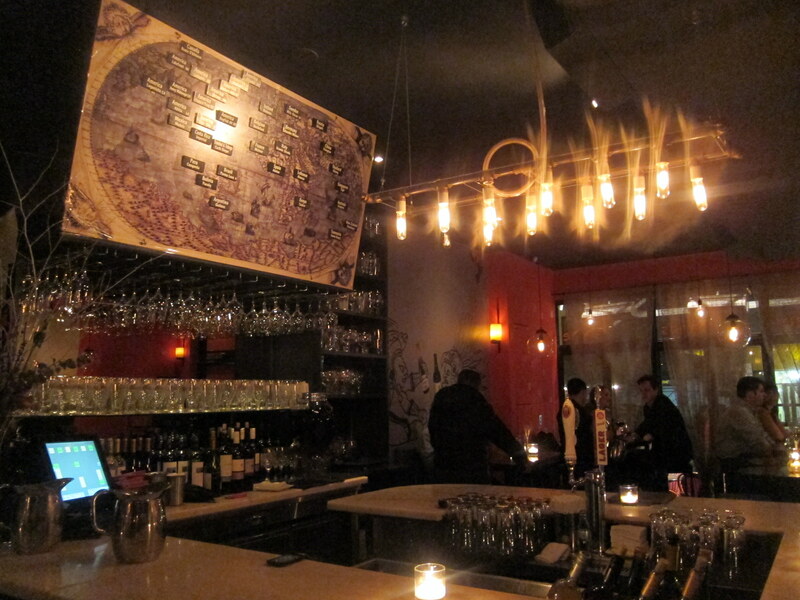 There is also a notable wine list that focuses on New World wines. 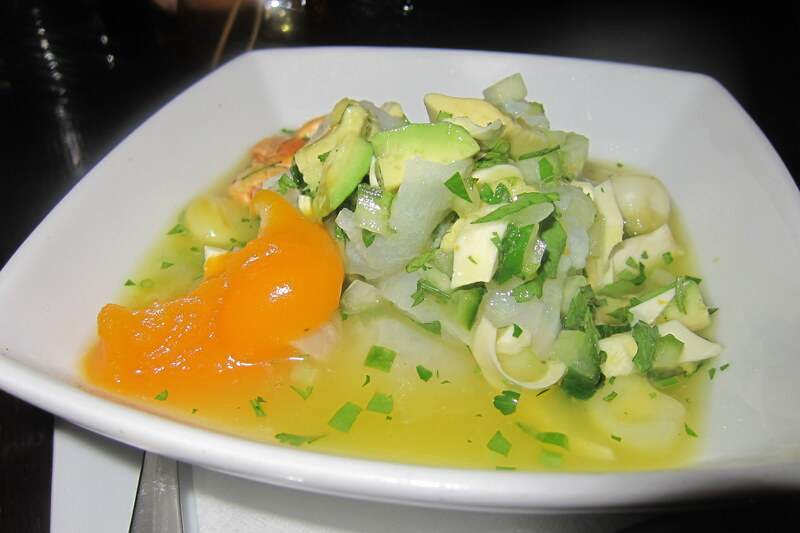 The menu offerings are a mix of more traditional Peruvian dishes like causas and ceviches, with other Latin American classics like guacamole (but with lobster! ), empanadas, etc. So I would say for more authentic Peruvian, I’d recommend a place like Panca, but if you want to enjoy a casual Latin American tapas dinner and accompany it with a delicious beer selection, this is your spot. The added bonus is also the outdoor seating which will be amazing in the summer. 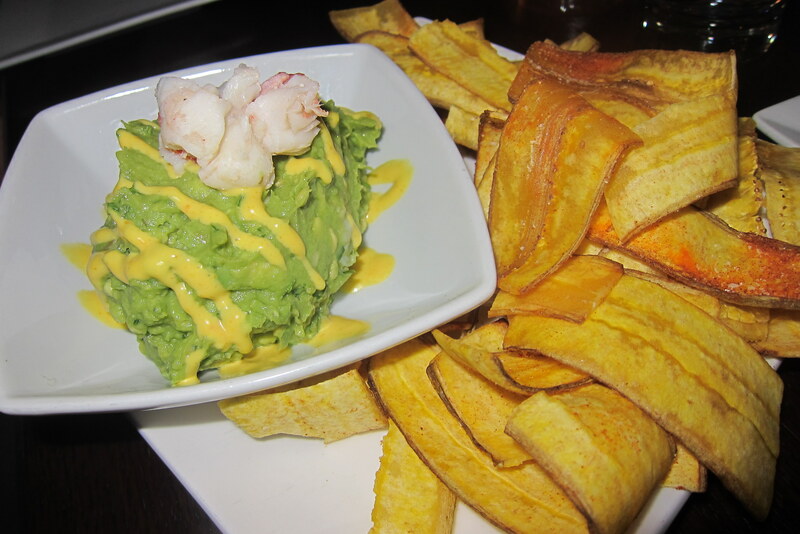 I adore guacamole, so I devoured this and loved the plantain chips. Admittedly the lobster was not necessary but a nice touch. This was probably my favorite dish, because I’m a huge carnivore. The guasacaca is a Venezuelan version of guacamole, and is more of a relish than a dip. 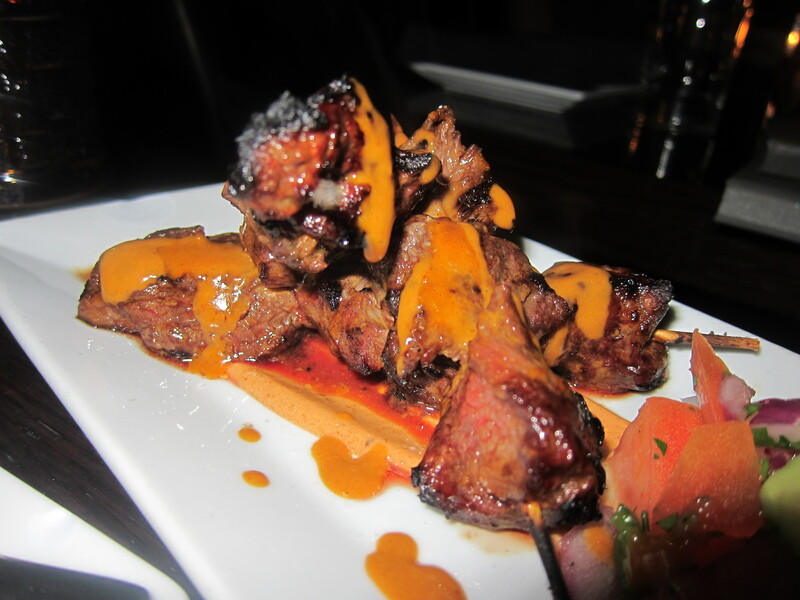 It was a delicious creamy accompaniment to the skewers. I was there and I enjoyed it very much. The owner was so nice to us that I also did a post….